Want to know what the future will be made of? Get comfy, set 14 min aside and read on. Some time near the end of the 21st century. Earth doesn’t look the same anymore. Our formerly fertile planet became arid and is haunted by dust storms occurring at alarming frequencies. The food supplies running low as crops go extinct, and schools use standardized testing to determine whether a child will become an engineer to produce better crops and precision agriculture machines, or if they will work as farmers to fight food scarcity. OK, so this scenario is taken from the movie ‘Interstellar’ and thus pure fiction, but that’s not to say it is completely out of the question. In fact, there is increasing evidence indicating a sixth mass extinction could occur, resulting in the disappearance of half of the world’s plants and animals. On top of this, the world’s energy demands will double by 2050. Meeting those demands in a sustainable way to prevent the destruction of the sensitive Earth ecosystem will be one of this century’s great challenges. Don’t despair yet! The good news is that today there are already all sorts of innovative solutions, including precision agriculture instruments and energy generation from renewable, CO2 neutral sources which should in principle allow us to avoid an Interstellar-like dystopian future. Hello Tomorrow is in a unique position to preview the near-term future as we see many startups coming through our Global Startup Challenge, this year with over 4,500 applications worldwide alone. As we spend many hours studying their innovations, we have built up a solid idea of what is going on in deep tech. The following article highlights the great work done by some of these entrepreneurs. Having had a good look at the innovations presented by our Challenge applicants, let’s open a window into a more sustainable future! If you only read the following, you will have a pretty good overview of what the major trends leading to a more sustainable future are. Well, this one seems like a given. But let’s unpack what we really mean here. First, let’s be clear on the basics. Since the industrial revolution at the beginning of the 19th century, fossil fuels such as coal and oil have become the primary source of energy powering factories and homes. Consequently, the greenhouse gases released from the burning of those fuels into our atmosphere have reached unprecedentedly high levels. Those gases trap heat in the atmosphere that would otherwise escape into space — so this means the rising average temperature on Earth is a direct consequence of the use of fossil fuels. Other direct downstream effects are the rising sea levels, desertification of farmlands and a shift of wildlife populations and habitats. So, the key to stopping climate change in a world with ever-increasing energy consumption is to switch from greenhouse emitting fossil fuels to renewable sources of energy such as solar and wind power which are easily accessible, free and unlimited. Since the transformation of wind and sunbeams into other forms of energy is emission-free (apart from those emissions released when constructing solar panels and wind turbines), these energy sources are considered “green”. However, one of the main issues of relying exclusively on renewable energy sources is the intrinsic intermittency of wind and solar power. Power generation depends on weather conditions. For a smooth and steady power supply under adverse weather conditions, a renewable energy source needs to be paired with an energy storage system. 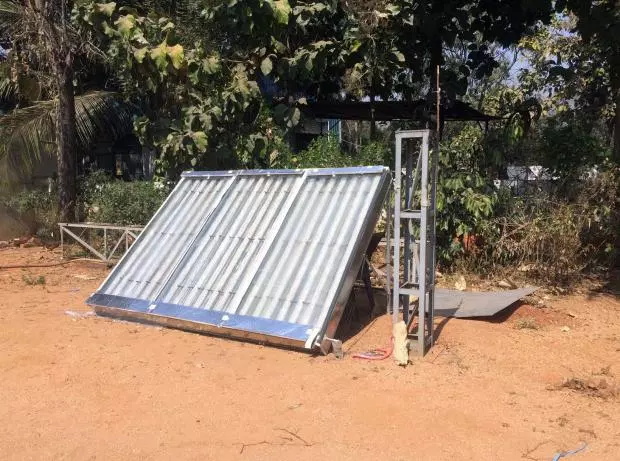 The most common devices used to store an off-grid energy surplus are batteries but other technologies for storing energy at grid-scale are also being developed. There is, for example, Storelectric’s adiabatic compressed air energy storage system which enables large scale, long duration storage of energy generated by renewable sources. The compression of air generates heat which is then stored, allowing for 70% round-trip efficiency. In contrast, Teraloop’s evolved hubless-flywheel system retains energy in its kinetic form. It’s also geared towards grid-scale dimensions and achieves very high efficiencies of 85% which is comparable to the newest battery generation. Primarily targeted at off-grid or transport applications, lithium-ion batteries remain an important energy storing means and their properties are continuously improved by scientists. A team at NiveauUp has developed extreme fast charging (short: XFC) technologies which allow up to 10x faster charging, simultaneously increasing the battery lifespan three-fold. Others, such as HiLyte, work on more environmentally friendly battery solutions targeting the off-grid market. Their iron-based battery is basically a plastic case with a small integrated electronics and a USB outlet. When the separately-kept consumable (iron, paper and iron salt) is added, the battery provides power enough to charge a phone or power a lamp for several hours. Aside from guaranteeing a steady power supply, the other issue in the adoption of renewable energy are the costs of such systems. Fortunately solar and wind energy are about to reach parity, the point where cost and performance are equal to conventional energy generation, in many regions. And the good news is that continuous technology improvements increase the efficiency of energy generating systems which further reduces the costs of producing green energy. 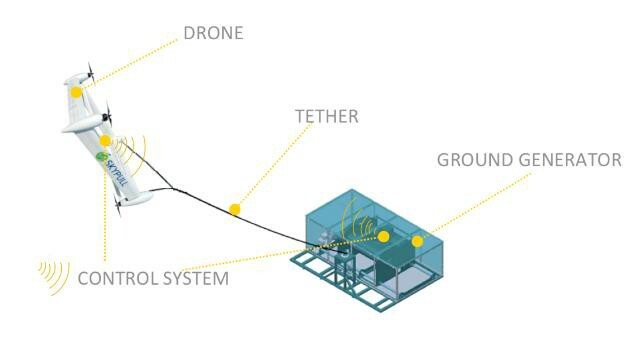 Skypull’s airborne wind energy system harvests energy from powerful altitude winds. Their system consists of a kite-like drone which is connected to a winch and generator on the ground. Since high altitude winds (200–800m) aren’t only available in certain wind-exposed areas such as coastal regions, Skypull’s system can be operated in many more locations. Plus, it requires only a fraction of the infrastructure wind turbines need, so installing them is much less costly. Moving onto to solar energy, a team at Insolight developed solar panels which reach efficiency above 30%! They can deliver up to twice as much energy as conventional panels for the same area by implementing a layer that concentrates the sunlight in multiple focus points. While solar and wind energy systems are most common, other sources of renewable energy become increasingly efficient and cost-effective as well. For instance, Phoenix Biopower have developed a biomass gasification technology that generates power from biomass much more efficiently than the current tech. Another CO2 neutral energy generation approach has been developed by Willpower Energy. Their electro-biocatalytical process technology converts atmospheric CO2 into methanol which can be used to generate clean energy using methanol fuel cells for instance. Since methanol is more energy dense than even highly compressed hydrogen, it is a superior energy source. Additionally, it is stable, has low volatility, and remains liquid over a broad temperature range. The downside of methanol fuel cells has been the generation of carbon monoxide during the oxidation of methanol which poisons the fuel cell, which means the life span is shorter. A team at Siqens has overcome this issue in part by operating at high temperatures and recycling all media and energy flows, thereby providing a cost-effective and more efficient methanol fuel cell for off-grid applications. Like Siqens, the team at Membrasenz developed solutions to improve current fuel cells. Their novel membranes are designed for alkaline electrolyzers enabling the electrolytic production of hydrogen at increased efficiency. In 2017 it was estimated that since its mass-scale introduction in the 1950s, more than 8 trillion kilogram of virgin plastics have been produced. As a world without any plastics seems unimaginable today, scientists are turning their attention and efforts towards bio-based alternatives. While reducing the packaging of goods would of course be the best option, so-called bioplastics represent a real solution reducing and eventually stopping the pollution of the environment with plastics. Biobased plastics originate from renewable biomass and are in principle compostable. Lactips developed water-soluble, biodegradable thermoplastic pellets made from casein, a milk protein. A more common biopolymer used for the production of bioplastics is lignin. ABC3D and Mobius both developed a proprietary method to extract lignin from biomass in an environmentally friendly way thereby overcoming the drawbacks of current processes which are highly energy consuming and use organic solvents. Next to the plastic producing industries, there’s the fashion industry, which has a devastating planetary impact. Its wastestream is particularly polluting the environment as the documentary RiverBlue showed us. The film shed light to the destruction of rivers in Asia caused by the largely unregulated textile industry and fueled by today’s consumer appetite for fast fashion. Since the 20th century, clothing has increasingly been considered as disposable. This trend has been reinforced by the rise of millions of people into the middle class across the globe with higher disposable income. The good news is, there are many manufacturing innovations developed which could help solve this global problem. 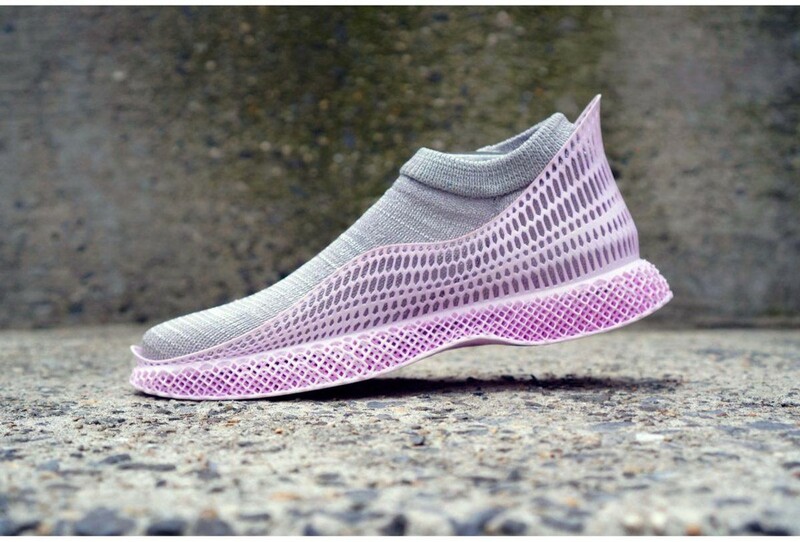 For instance, AlgiKnit are addressing the ecological damage caused by the fashion industry by creating durable yet rapidly degradable yarns from kelp. At MOGU, a leather alternative is made from fungi mycelium, the vegetative part of fungi consisting of a tight network of filamentous cells. Their product avoids the use of animal skin or any other hazardous chemical treatments. Samatoa Lotus Textiles developed a composite microfiber from polyester and Lotus stems. The special thing about it is that the polyester is obtained from upcycled plastic bottles which are melted first, then mixed with the Lotus stem and processed to yield yarn. While the solutions mentioned above focus on developing basic biobased materials for the fashion industries, Humble Bee aim at replacing the current gold standard in textiles repellency technology (anti-water and dirt), an environmentally hazardous chemical, with a nesting material produced by bees. The biopolymer is water repellant, resistant to heat and organic solvents. 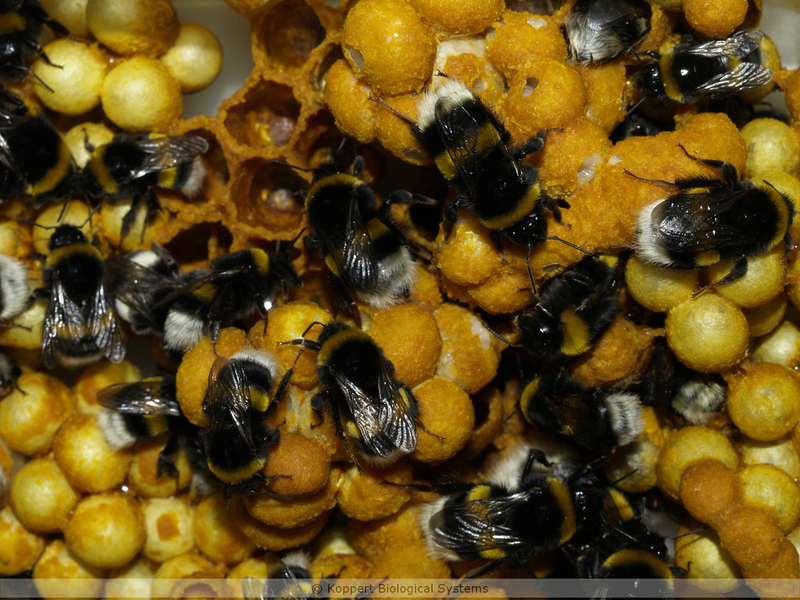 The team at Humble Bee has uncovered the fundamental building blocks of the bee material and engineered a microbe for the manufacturing of the biopolymer. Similarly, Checkerspot produces biomaterials for textile finishings. They use customized microbial triglycerides as molecular scaffolds to create waterproof-breathable textiles and apparel with wicking properties. While plastics have become an integral part of our lives, its disposal continues to deplete our finite natural resources. For this reason, recent efforts also focus on chemically recycling plastics, which allow for recovery of the building-block chemicals via depolymerization or for creative repurposing into value-added materials as already seen above. Ioniqa developed a process to depolymerize polyethylene terephthalate (PET) bottles and food containers while simultaneously separating the building blocks from colour residues and other non-PET materials. This results in a product which is identical to virgin plastics but with a 75% smaller CO2 footprint. The team at gr3n recycling engineered a microwave-assisted chemical depolymerization reactor for the recycling of PET in an economically efficient way. However, innovative solutions in recycling focus not only on plastic products but also on other waste streams. Scientists at the National University of Singapore produce aerogels for for personal care products, medical devices, packaging, oil spill and toxic solvent cleaning etc from a mix of plastic-, fabric- and paper-waste. At 9Fiber both marijuana and hemp waste is decorticated and the biomass separated and processed into cotton-like fibres and hurd products used in the production of bioplastics. Bloom have developed a deconstruction pathway, which prevents lignin molecules from rearranging when separated from the other components. This allows Bloom to efficiently break down wood and agricultural wastes such as shells and seeds into a soluble, near-native form of lignin, that can be used to produce numerous commodity products. Others focus on the recycling of metallic elements from waste streams. Sep-All produce nanomaterials from metallic waste streams utilizing their novel extractive metallurgy technology whereas HYMAG’IN convert ferrous waste into magnetites which in turn can be used to clean wastewater from other metallic impurities. In spite of water covering more than 71% of the Earth, fresh water is a scarce resource. More than 40% of the world’s population will be affected by water shortages in 2030, if no measures are taken. One reason for water shortage is the use of billions of litres of fresh water each day which are washed down the drains and not recycled. Hydroleap evolved the concept of waste water treatment using electrocoagulation. By applying electric current to the water, electrostatic charges on suspended solids and oil droplets are neutralized, thus facilitating their aggregation resulting in the separation of the contaminants from the aqueous phase. At Greenblu and Mascara Renewable Water, teams developed novel desalination methods to regenerate fresh water from waste- and seawater. Current desalination technologies are too energy-consuming and produce too much waste to be considered environmentally-friendly. Greenblu’s solution changes that. Their adsorption distillation machines eliminate the need for membrane technologies and operate at unprecedentedly high thermal efficiency, so energy consumption is significantly decreased. In contrast, Mascara Renewable Water developed a reverse osmosis desalination technology at an industrial scale that can run off solar energy without any batteries. Now that you’re up to date on the core trends, stay onboard to explore our analysis of the more niche topics and thirst your quench for knowledge with these under-the-radar emerging trends. Precision agriculture was first introduced in the 1990s by equipping tractors with GPS guidance systems. A GPS-equipped tractor helps to reduce steering errors by drivers and therefore any gaps or overlap passes on the field which results in optimized use of seeds, fertilizers and fuel. Since then, precision agriculture has evolved and includes tools such as satellites, drones and sensors. With decision-making tools, farmers are better guided and intervene only if necessary. Plus, these methods not only allow to reduce the frequency of interventions but also allows farmers to manage the plot on a square-metre basis. This results in lower energy consumption and reduced use of environmentally questionable agrochemicals while simultaneously increasing harvest yields. Skaha developed sensors to analyze real root-zone moisture as opposed to surface soil moisture at farm-scale. Instead of relying on soil moisture estimations from recent rainfalls, crop conditions and drive-by observations, its unique microwave sensor system allows for penetration of the soil and accurate estimations of soil moisture conditions. At EarthSense, a team engineered a small robot that automates the measurement of plant traits for efficient phenotyping as an alternative to time-consuming manual measurements. 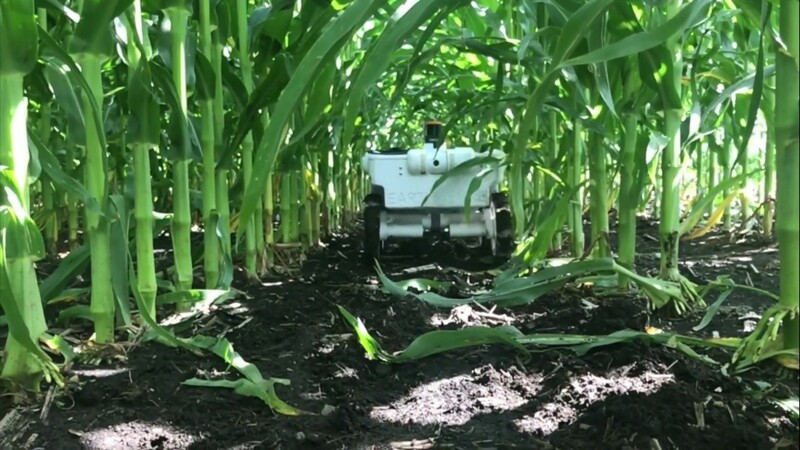 Its onboard sensors and machine vision algorithms enable the robot to count plant stands and map plant characteristics by driving autonomously through the fields. In contrast to the two solutions above, Faunaphotonics and UV Boosting are working on different approaches but a common goal — the reduction of chemical and pesticide use. UV Boosting applies UV flashes to the plants in order to stimulate their natural defences. The stress created is sufficiently weak to have no adverse effect on production yield nor quality, but is still strong enough to stimulate natural defence mechanisms. Conversely, Faunaphotonics uses smart sensors to monitor insect activity and identify pests. Their data yields a digital map of insect populations, which gives farmers a helping hand in deciding when and where to spray insecticides. Others take advantage of the recent advances in the field of Earth observation. Nowadays mounted on satellites, infrared sensors can detect heat, hyperspectral sensors can identify minerals and vegetation, and radar scanners can provide data to build three-dimensional landscape models — everything from space. 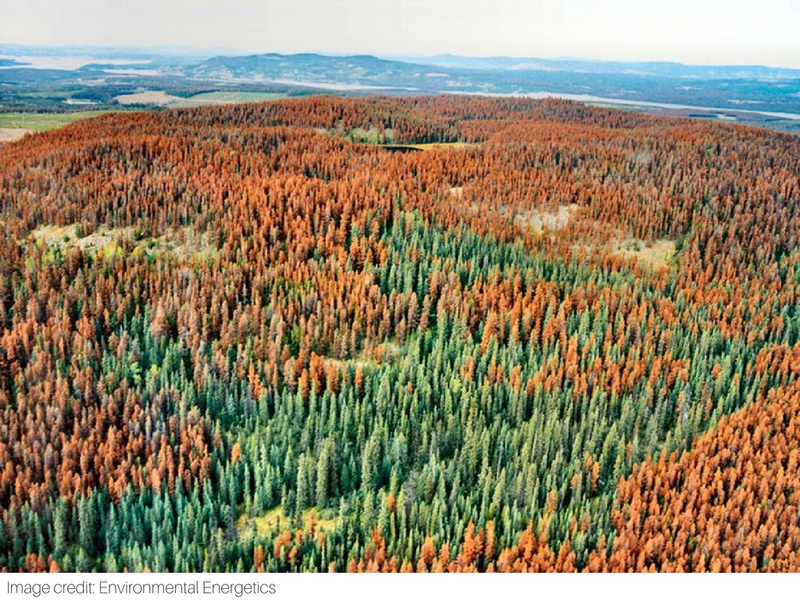 Viridian Raven aim at replacing the manual inspection of forests and fields by mapping forest health from space to detect bark beetle outbreaks early which can devastate forests leaving behind dead trees. Their predictive software also allows to model distribution and outbreak patterns. Similarly, HeraSpace’s solution predicts and updates fish distribution patterns in oceans. By combining Copernicus satellite data with actual fishing data, their solution helps in selecting optimal fishing grounds as well as in calculating the most efficient route of vessels to those locations. Now that you know pretty much everything about core trends and nice topics, we are also able to build a longer-term view of what the future looks like in terms of sustainability. Let’s go deep into the lab. The Paris agreement from 2015 states that each country has to take measures to mitigate global warming. Most paths to halting global temperature increase at 2 degrees compared to pre-industrial levels as well as each path to reach 1.5 degrees rely in some way on CO2 fixation from air according to the IPCC. In principle, the idea is simple: extracting CO2 straight from the air and use it to synthesize carbon-neutral fuel or other valuable materials. But can it work on an industrial scale? Carbonupcycling’s approach is to chemically adsorb CO2 emissions into easily accessible graphite to produce various graphene nanoparticles such as graphitic nanoplatelets or graphene oxides. Their technology which advanced into the final round of the Carbon XPrize sequesters between 50 to 250 kilograms of CO2 from the atmosphere per ton of product. In contrast, The Air Company sequester CO2 from air to produce ethanol using a novel chemical electrolysis process. This method yields ethanol at lower costs than ethanol derived from distillation or fermentation and requires hardly any infrastructure as it only needs carbon dioxide, water, and (solar-powered) electricity. Besides extracting CO2 from the air, the generation of water from the atmosphere will become equally important in order to fight water scarcity. While atmospheric water generation is a known concept, its huge costs along with vast energy consumption are significant drawbacks. For this reason, the competition guidelines of the recently awarded Water Abundance XPrize aimed at the creation of technologies that yield a minimum of 2,000 litres of water per day from the atmosphere using 100% renewable energy, at a cost of no more than two cents per litre. One of the finalists, ThinAir Water, have created a ‘water-from-air’ generating material surface inspired by the fogstand beetle which is able to condense water on its back and form interactions with water to accelerate condensation. ThinAir recreated the effect by designing surfaces with defined curvatures to create local densities of water vapour molecules, bumps for nucleation and grooves with special coatings to increase water runoff. Others such as Majik Water and Uravu use desiccant materials to harvest water from the air. Desiccants can adsorb water and release it when heated. To release the water thermal energy from sunlight is focused on the solid desiccant. In a final step, the highly saturated vapour can then be easily condensed in ambient conditions and collected in tanks.